RAVENOL ATF 6HP Fluid is a synthetic automatic transmission fluid (ATF) produced by blending hydrocrack oils and synthetic PAO with special additives and inhibitors to ensure smooth and reliable operation of ZF high performance automatic transmissions requiring this specification. BEWARE OF CHEAP IMITATIONS! There are a number of companies offering what they claim to be a 6HP Fluid which is in many cases nothing more than a rebranded Dexron III. The use of such a product can lead to malfunctioning of your Gearbox. If you are offered a product that is red in colour, it is not a genuine 6HP Fluid - RAVENOL ATF 6HP Fluid has a yellow-brown colour. 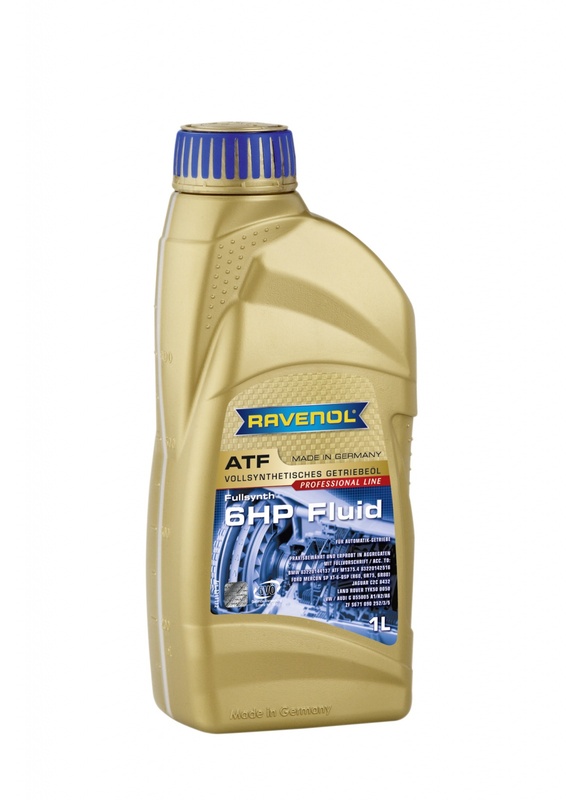 RAVENOL ATF 6 HP Fluid was developed specifically for use in the latest ZF 6HP-series transmissions, 6HP19, 6HP21, 6HP26, 6HP28, 6HP32, 6HP34, also for 5-speed automatic transmission 5HP-series. It is backwardly compatible for all earlier versions of ZF 4- and 5-speed passenger car automatic transmissions, except 6HP26A61 in vehicles with Audi W12 (VW G055162A2) and 6HP19X for Audi Q7, 6HP19A, 6HP28AF (VW G060162A2). For these specifications we recommend RAVENOL ATF 8HP Fluid. Used in my BMW X5 and everything shifts and responds smoothly as desired. Great product. Brilliant service and a brilliant product. I will definitely deal with this company again in the near future. Great product, great price, very good communication, but wrong transport partner in France. We have made a complaint to Parcelforce who have promised to take the matter up with their French partner. Our contract stipulates 3 working days to France.